Mobile phones went from big to small, then back to big again when smartphone-slash-tablet hybrids hit the market. People with small hands had a hard time using phablets with one hand because their thumbs couldn’t quite get to the other end of the screen. You can’t make your thumb grow a few inches (because that would just be weird, aside from being impossible) but you can add a few inches by way of the Thumb Extender – no surgery required! The Thumb Extender looks like one of those trick thumbs in magic kits, only it’s bigger and comes embedded with a capacitive tip at the end so you can tap and swipe with (relative) ease. 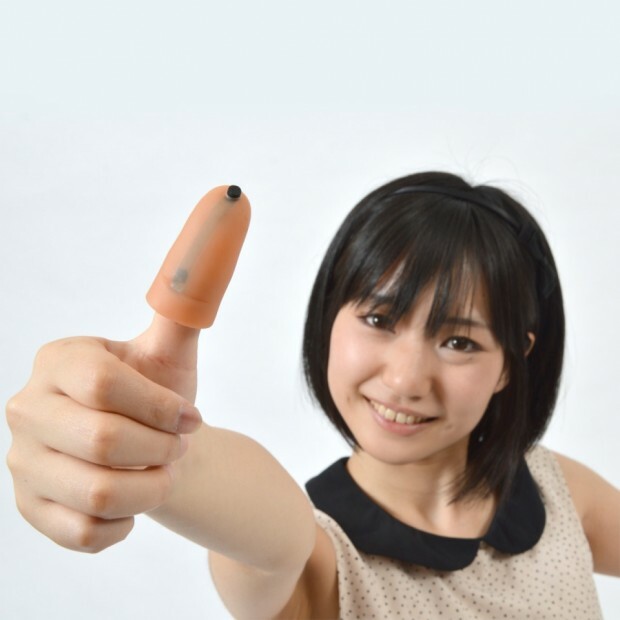 The Thumb Extender is available from Thanko for ¥1,480 (~$15 USD).